Mayo is the main author of the work being presented in the Astronomical Journal. The research has been conducted partly as a senior project during his undergraduate studies at Harvard College. It has also involved a team of international colleagues from institutions such as NASA, Caltech, UC Berkeley, the University of Copenhagen, and the University of Tokyo. The Kepler spacecraft was launched in 2009 to hunt for exoplanets in a single patch of sky, but in 2013 a mechanical failure crippled the telescope. However, astronomers and engineers devised a way to repurpose and save the space telescope by changing its field of view periodically. This solution paved the way for the follow up K2 mission, which is still ongoing as the spacecraft searches for exoplanet transits. These transits can be found by registering dips in light caused by the shadow of an exoplanet as it crosses in front of its host star. These dips are indications of exoplanets which must then be examined much closer in order to validate the candidates that are actually exoplanets. 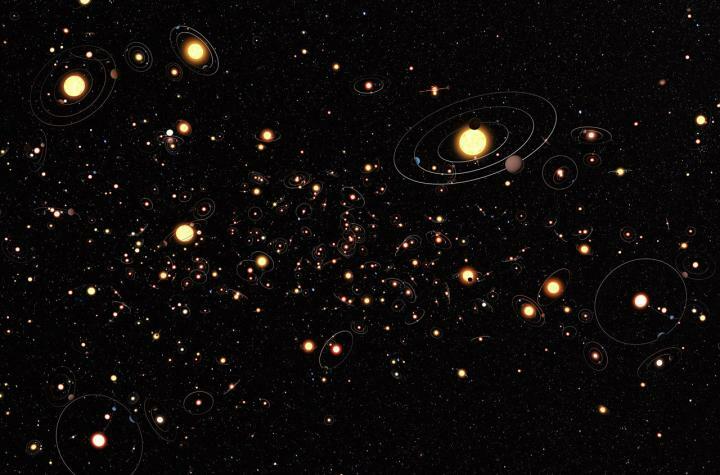 The field of exoplanets is relatively young. The first planet orbiting a star similar to our own Sun was detected only in 1995. Today some 3,600 exoplanets have been found, ranging from rocky Earth-sized planets to large gas giants like Jupiter. It’s difficult work to distinguish which signals are actually coming from exoplanets. Mayo and his colleagues analyzed hundreds of signals of potential exoplanets thoroughly to determine which signals were created by exoplanets and which were caused by other sources. “We found that some of the signals were caused by multiple star systems or noise from the spacecraft. But we also detected planets that range from sub Earth-sized to the size of Jupiter and larger,” said Mayo. “We validated a planet on a 10 day orbit around a star called HD 212657, which is now the brightest star found by either the Kepler or K2 missions to host a validated planet. Planets around bright stars are important because astronomers can learn a lot about them from ground-based observatories,” said Mayo. “Exoplanets are a very exciting field of space science. As more planets are discovered, astronomers will develop a much better picture of the nature of exoplanets which in turn will allow us to place our own solar system into a galactic context”. The Kepler space telescope has made huge contributions to the field of exoplanets both in its original mission and its successor K2 mission. So far these missions have provided over 5,100 exoplanet candidates that can now be examined more closely. With new, upcoming space missions like the James Webb Space Telescope and the Transiting Exoplanet Survey Satellite, astronomers will take exciting new steps toward characterizing and studying exoplanets like the rocky, habitable, Earth-sized planets that might be capable of supporting life.